Thanks to its robust civilian airline business and a very respectable military presence, Boeing (NYSE:BA) offers significant stability for investors. 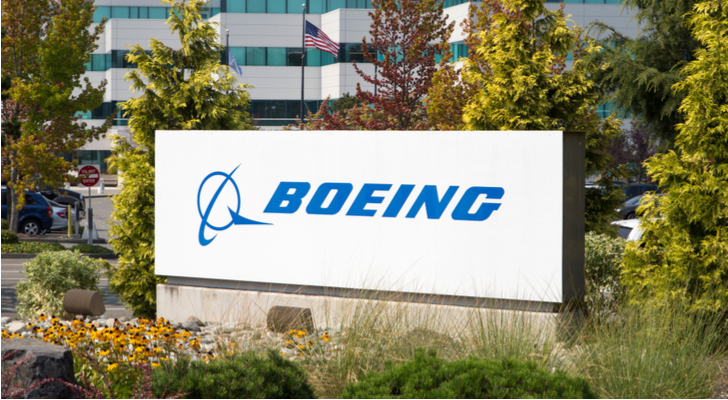 But like most other publicly-traded firms, Boeing stock has experienced a turbulent, albeit net positive environment in 2018. But recent events threaten to turn the company’s trajectory decidedly towards the downside. During the Tuesday session, BA stock price dropped nearly 5%. At the center of the controversy is the October 29th crash of Indonesia’s Lion Air Flight 610. According to a preliminary report released by investigators last week, a mechanism known as Maneuvering Characteristics Augmentation System, or MCAS, malfunctioned, pushing the doomed airliner’s nose downward more than 20 times. Unable to correct the problem, the pilots struggled relentlessly before the plane crashed into the Java Sea. All 189 people onboard died. For Boeing stock, the tragic news couldn’t come at a worse time. Nearly every business with international exposure had their eyes fixed on the ongoing U.S.-China trade war. A negotiated truce provided some optimism that the two nations can reach a lasting resolution. Now, management has more pressing issues to address. Furthermore, the volatility in the BA stock price could accelerate on PR concerns. The doomed airplane, a Boeing 737 Max, represents the latest version of the venerable 737 series. If investigators determine that this iteration is flawed, Boeing potentially loses several lucrative contracts. Unfortunately, the facts as we currently know them don’t appear favorable for Boeing stock. According to aviation experts, the key to resolving an in-flight emergency is to determine the malfunctioning component or system. In Flight 610’s case, that system is the aforementioned MCAS. Especially damning for BA stock is that neither Boeing nor Lion Air dispute this. Even worse, airline pilots alleged that Boeing installed MCAS in the 737 Max without informing the companies flying the plane. That’s according to Southwest Airlines’ (NYSE:LUV) captain and pilots association president Jon Weaks. If true, that is a completely unacceptable — and dare I say unforgivable — oversight in communication. At the very least, management should terminate those held responsible. Depending on the facts of the investigation, I can foresee criminal negligence charges. Should events escalate to that level, the BA stock price will likely suffer substantial red ink. Needless to say, Lion Air is furious, demanding Boeing take full responsibility for the crash. The affected airline has a substantial stake in placing guilt on Boeing. According to multiple studies, airline customers respond negatively to a brand involved in an accident. That said, evidence also indicates that consumers distinguish among various catalysts. For instance, people won’t avoid airliners or aircraft manufacturers if they were involved in a terrorist attack. They will, however, avoid companies involved in negligent accidents. But the biggest headwind for Boeing stock isn’t the crash itself. Rather, Lion Air has threatened to cancel its $22 billion aircraft order with the manufacturer. Not only that, other airliners could follow suit, boosting rival Airbus’ (OTCMKTS:EADSY) profile. Based on the above facts, it’s easy to assume that Boeing stock is due for a rough ride. However, the aircraft manufacturer has enough evidence to support a viable defense. While the company acknowledges an issue with MCAS, they refuse to concede a systemic problem. That is, Flight 610 either suffered a correctable situation, or Lion Air mishandled the MCAS system. One day before the crash, Lion Air’s maintenance team replaced a sensor on the ill-fated airplane. Sure enough, on October 28th, a different flight crew experienced the same nose-down effect that eventually took down Flight 610. This suggests that a defective or improperly-installed sensor disrupted the MCAS system. Furthermore, the October 28th flight crew managed to correct the incident by manually shutting off all automated flight features. This returned complete control to the pilots, who then landed without further drama. To Boeing’s point, such action is a standard emergency procedure. Experts find it inconceivable that the Flight 610 crew didn’t immediately switch to manual mode. Instead, they wrestled with the computer to their demise. Plus, the prior day’s scare should have immediately grounded the airplane for a full inspection. Ask any flyer: they’d rather be late than be dead. Having assessed the available facts, my opinion is that Boeing has the weaker case. In any accident, the key word is mitigation. Boeing failed to communicate the MCAS installation. As a result, they failed to inform proper procedures to take if MCAS malfunctioned. Instead, they relied on individual pilot skill and instincts to resolve any issues. They didn’t do everything they could to avoid such a tragic outcome. Critically, it’s not just Lion Air voicing complaints. Southwest has chimed in, as did American Airlines (NASDAQ:AAL). While BA stock has experienced strong performances in late November, I’m not sure if the bullishness will hold up. This matter has ugly written all over it. Article printed from InvestorPlace Media, https://investorplace.com/2018/12/boeing-stock-will-face-further-correction-after-the-lion-air-tragedy/.